This is my first attempt on a larger size paper cut project. 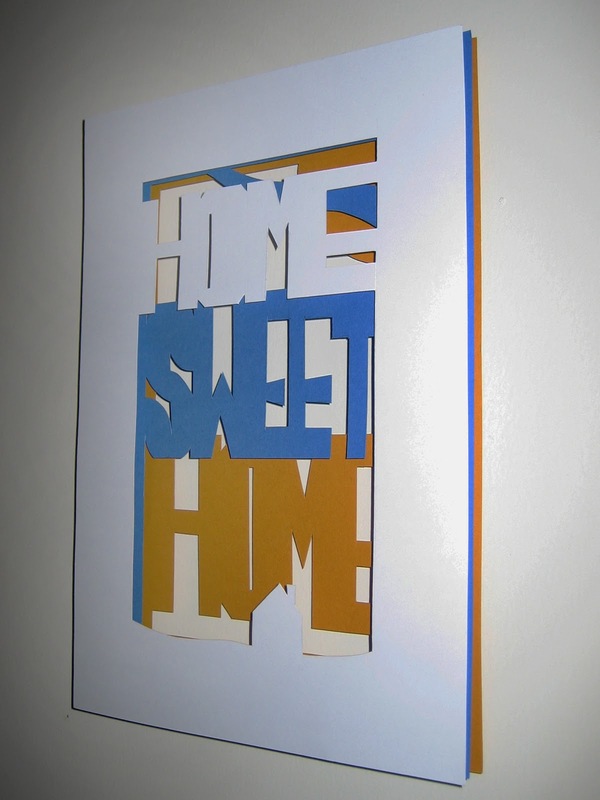 It's supposed to be a wall art saying "Home Sweet Home". 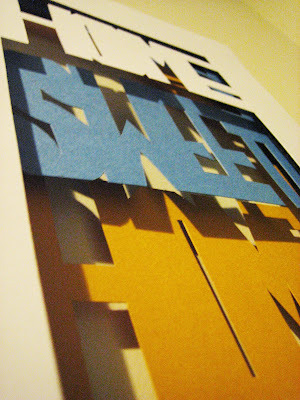 I figured since my paper-cutting skill isn't that good yet, I'd make more of lettering set. I think I'm gonna make some more with writings of my favorite bands like "Motion City Soundtrack" or "Angels and Airwaves" and add a little bit graphical shapes here and there. Meanwhile, this first cut paper wall art is still unframed (I'm figuring out where to buy or make the frame) and leaning on the wall of my bedroom. And yes, I know, I need better camera and better photography skill.